Kaspar is a child-sized humanoid robot whose face has simplified yet expressive features. 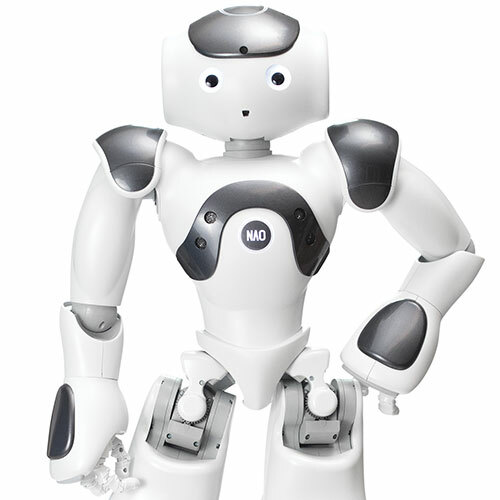 It's been used for therapy with children with autism and as a research platform to study social robotics. 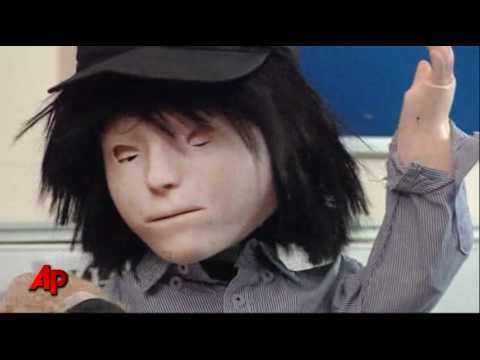 Most children don't find Kaspar creepy. A child plays with the robot during an imitation game. 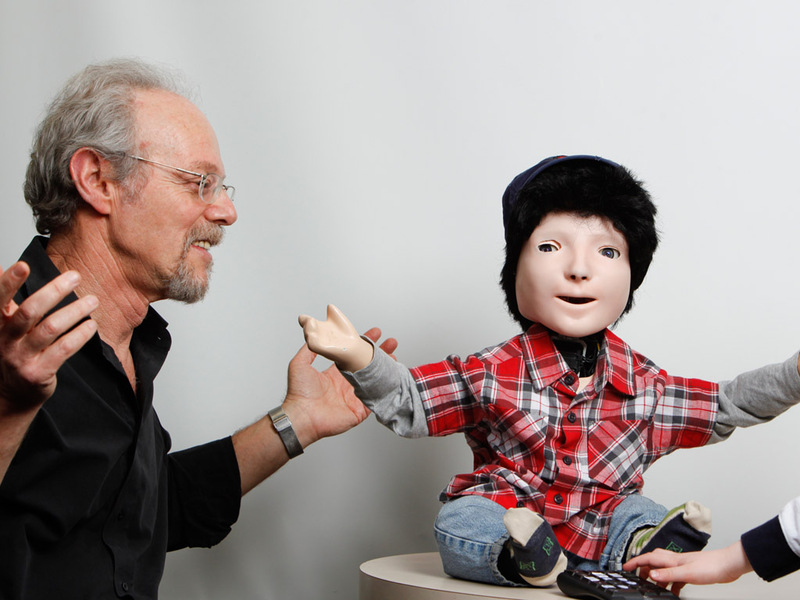 Dr. Ben Robins works with Kaspar. Kaspar shows his sad expression. 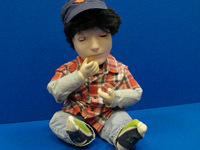 Kaspar helps children with autism. Kaspar likes to make friends. Kaspar's face is a mask used in training mannequins designed for teaching CPR. 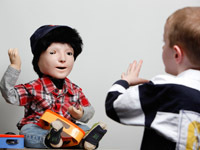 Since 2006 Kaspar has been used in trials to teach children with autism about turn-taking, social play, collaboration, and other social behavior. Kaspar was originally built for a short research project but was so successful it became part of several long-term studies. Face capable of showing different expressions. 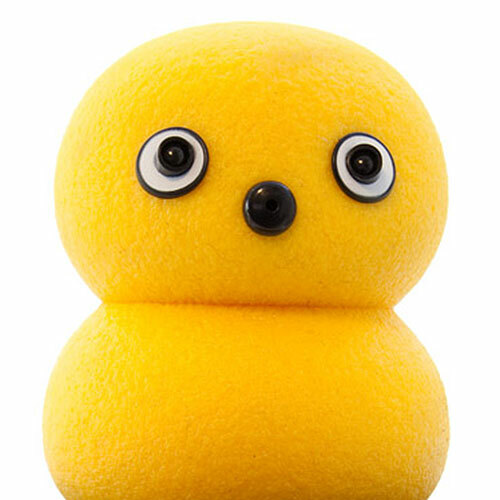 Fully autonomous, semi-autonomous, and remote-controlled modes. Cameras in eyes. Force-sensing resistor or capacitive touch sensors. Dynamixel AX-12A robot servos and RC servos. One 12-V 7-Ah lead acid battery, 4 hours of operation. Controlled by external PC via USB. Or wirelessly using on-board mini PC. Custom Java software. YARP, C++, and Python interfaces optional. 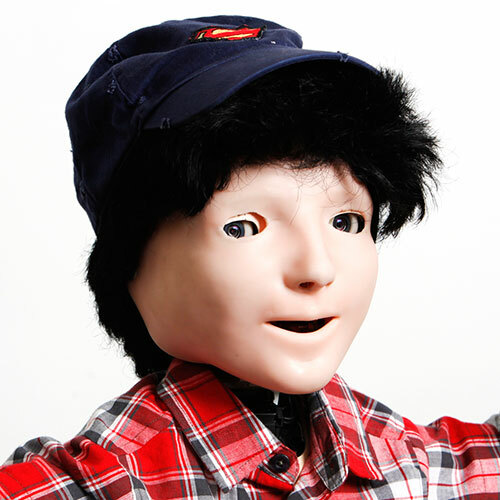 Fiberglass body; aluminum frame and head parts; silicone rubber face. 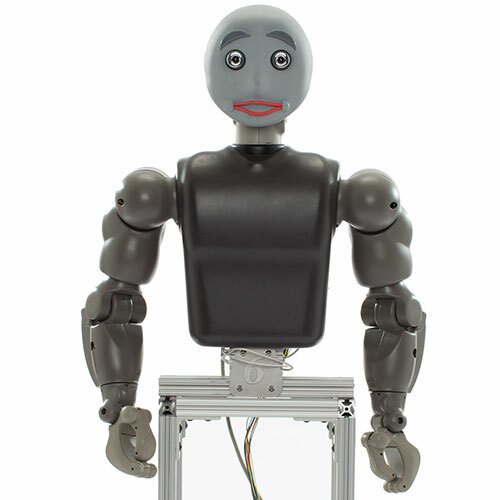 In 2005 University of Hertfordshire professors Kerstin Dautenhahn and Chrystopher Nehaniv led a small team to design a robot head for an experiment on how humans perceive robot faces. Not long after, a humanoid body was created under the supervision of Dr. Michael L. Walters. 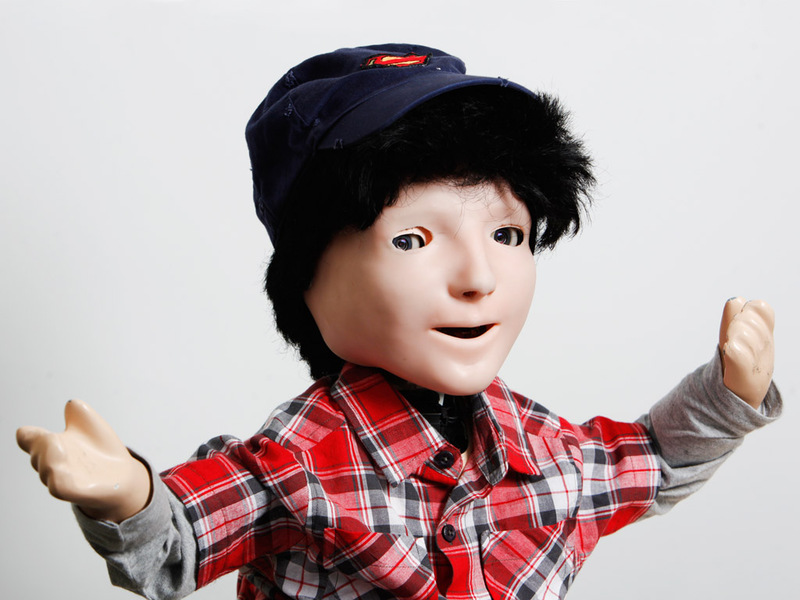 The researchers combined the robot head and body and the child-sized humanoid Kaspar was born. 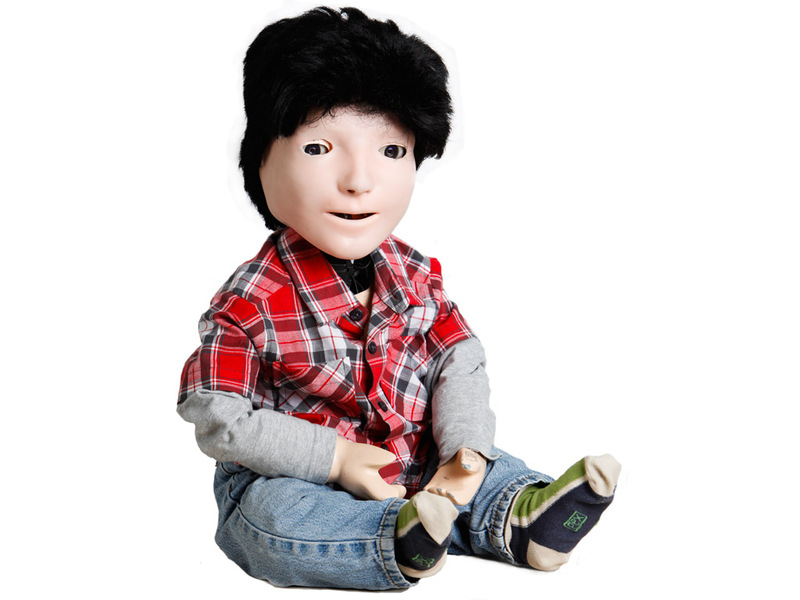 With contributions from other researchers of the Adaptive Systems research group, Kaspar has been used in human-robot interaction studies and for robot-assisted therapy for children with autism (work supervised by Dr. Ben Robins and Prof. Dautenhahn). 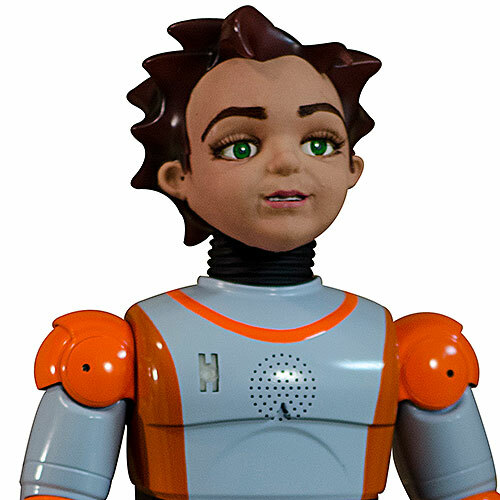 While Kaspar's face may seem "creepy" to many people, children are generally interested in interacting with the robot, whose simplicity of features and movements provides a safe, non-threatening, nonjudgmental mediator for encouraging social interaction.